Importing thousands upon thousands of marine fish and corals, and implementing tactics and theories upon keeping them healthy and alive, we’ve learned a few things. From the hundreds of books and articles we’re read, and thousands of customers we’ve talked to, we have seen and heard just about everything when it comes to marine fish and reef husbandry. My scope, with this paper, is to make some bold statements that go against the norm of what is known or commonly written about in this hobby. I make these statements in a light-hearted way, not really claiming they are 100% correct, but to instill in your thought process an open mind to possibly see another view. Many knowledgeable aquarists and professionals might look at our statements, agreeing only partially, or disagreeing altogether. The point we hope to make is that there are usually other factors to the contrary and the average aquarist will not be aware of the totals facts, thus misleading them to believe the initial point and nothing more. With this understood, we must take the practical known facts and artistically use them to benefit your own system. Unfortunately art is in a different form for every person and system, thus it can never have the same application in all cases. That’s what makes our hobby so challenging and debatable. The statements we proclaim are debatable. I will only give reason to those statements made through personal observation, cited literature, and experiences through customers and fellow aquarists I know. I will make the known statement the general aquarist believes and argue the opposite by stating, “Not true”. STATEMENT: You cannot keep a lot of fish in a reef tank. The belief: a lot of fishes are not compatible with coral and other invertebrates grazing upon and engulfing specimens you have purchased. The other argument is that too many fishes cause an excess amount of waste which your system may not endure. Combined with the high light requirements, the average reef aquarist uses, it is terribly hard to control undesirable algae. (Gobiidae) and blennies (Blennhidae). Some of these fish used to be listed as alt reef compatible, now they are individualized as some not being reef compatible. Through experience and studies, we have a larger list of reef compatible fish than we ever did before, it used to be through elimination of fish families, you could only choose from approximately 20% of fishes on hand at your local shop. Today, 1 estimate you can probably choose from about 80% of fishes (some having possible restrictions). The amount of fish vs. waste production is another contradictory point. A well set up reef tank will have proper waste removal far exceeding the animals taxed on the system. Larger more advanced protein skimmers, resin reactors, refugium systems, cured live rock, live sand, and quality R.O. units are now being used, ensuring organic waste, phosphates, and silicates are virtually zero. We have found fishes can be kept at levels moderate to high in numbers in reef tanks (feeding prepared foods on a regular basis). In fact “most’ good reef keepers have a large number of fish, keeping excess waste extremely low with little to no problems of micro-algae blooms. They even feed them once to twice a day. I summarize by saying that you can keep a lot of fish (selection and numbers) in a reef tank, if you use the proper equipment and techniques. STATEMENT: Centropyge or dwarf angels are good reef fish. 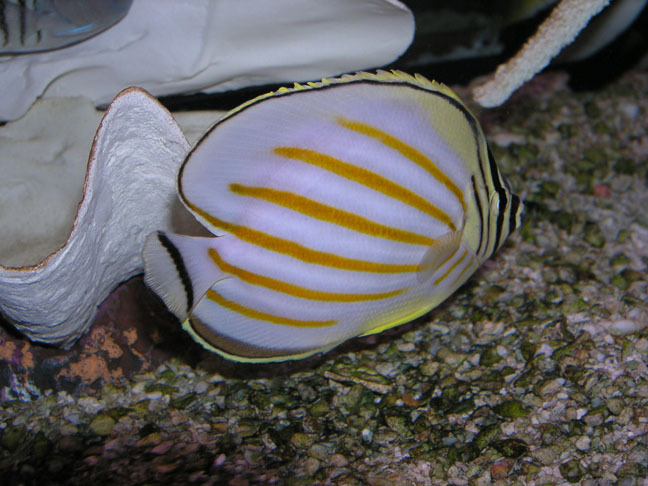 Angelfishes (Pomacanthidae) are found on coral reefs throughout the tropics and are much sought after by aquarists. These fish require careful maintenance with most species feeding on corals, sponges and encrusting algae in nature. While it has been known that larger species from (Pomacanthus, Holacanthus, and Chaetodontoplus) feed on sponges, sea-squirts, anemones, and corals, they have NOT been recommended for years as reef compatible fish. However, their close cousins, the pygmy group (genus: Centropyge), have always been sought after by reef aquarist probably because of their less aggressive nature and size. Well, nothing could be further from the truth. The fact of the matter is Centropyge angels are more adaptive grazers than the larger species of this family. We have sold more fish traps to catch flame angels (C. loriculus), lemon-peels (C. flavissimus), bicolor (C. bicolor), keyhole (C. tibicin) and (C. eibli) than any other fish I can account for. While one examines their natural diet, it would appear the threat to corals would be minimal. Most of the pygmys feed on algae, scraped or bitten off coral debris. Although these angels may not be feedin9 directly on your coral-polyps, they do graze on the slime your corals extrude, thus damaging bases and mantles (S. Michael). It seems once they start to eat coral-slime, they can’t stop, leaving the aquarist very frustrated as they watch these fish pick apart their living reef. They tend to prefer open-faced corals such as favia brains, elegance, trachyphylias, and bubbles. I’ve known them to eat xenia and clam mantles as well. 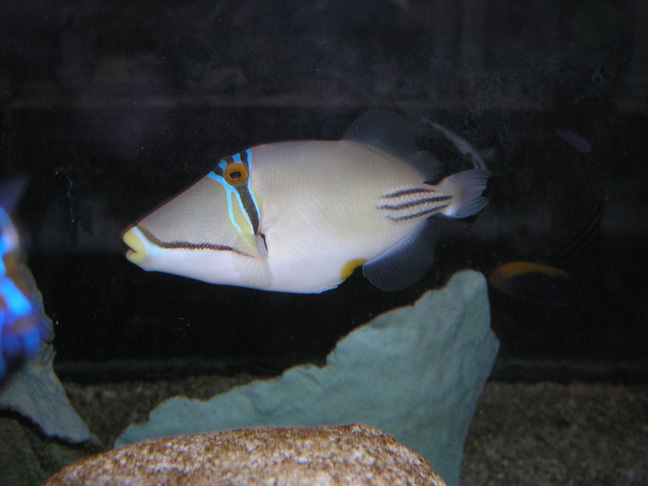 Angels from the genus (Genicanthus) and some larger species from (Pomacanthus and Chaetodontoplus) are now found to be better reef fishes because of their natural feeding behavior, consisting of plankton and small organisms suspended in mid-water. Although I do not advocate the use of dwarf angels in a reef tank, some that could be added with less risk would be: C. nox, C. acanthops, C. argi, C. multifasciatus, C. venustus, C. aurantius. STATEMENT: Damselfishes (Pomacentridae) are the best fish to cycle or start a new tank with. The belief: the numerous fishes that comprise this family are, for the most part, small and very hardy. They are considered among the “easier fishes for the beginner.” Some damsel fishes graze on algae from the reef, while many others congregate in schools to feed on micro-plankton making them very easy animals to feed prepared foods in captivity. While most of this may be true, what most aquarists don’t understand is where and how they are shipped. Damselfishes are generally shipped overseas in extremely large numbers. Some wholesalers bring in over 5,000 a week! To bring costs down, the shipper packs these fish 2-5 per small bag (unlike most other fish, which are packed singularly). Because of the volumes needed, it has been well documented in some such areas that these fishes are drugged so as to catch more per dive. With this in mind, these fishes are not only shocked tremendously through transport, but have a weakened immune system as well. We sell a lot of damsels per week. Most of them going to new-cycling aquariums. I can’t think of too many times where the customer can say that they lost zero, and too may times where they all die. The blame is usually put on the water conditions of the aquarium. Although in some circumstances this may be true, for the most part, it is the damsels themselves who are their demise. There are times when we have purchased 300 damsels and over 50% die! Our tanks are cycled and clean. We keep exotic, expensive and hard to-keep fishes alive in these same systems. Our experience shows damsels to have a much lower survival/death rate percentage than most other marine fish families. What this tells me is that there may be alternatives to start your aquarium with. Although most want to weigh cost factors into what they buy, damselfishes still may not be your first choice. Remember, no dead fish has value. So what are the alternatives to inoculating your new system? STATEMENT: Butterflyfishes (Chaetodontidae) are very difficult to keep alive in captivity. In the wild, butterflyfishes constantly hunt for small prey upon coral reefs. Many eat algae, but most feed on coral polyps, and sponges. Unfortunately, they are the most sensitive of fishes, so in spite of their alluring appearance, the beginning aquarist should avoid them. I disagree with this understatement for a number of reasons. While it is true a lot of butterfly species are strictly coral eaters should not be brought into captivity, many species we commonly see in the shops are not coral eaters and do quite well in captivity. I credit this to new advanced technology, collection sites, and equipment which enables us to keep better fish – – longer. A lot of information previously written about is outdated. These older books and artc1es were written before the time of Berlin-systems arid when innovative work was being done with ultraviolet sterilizers and wet-dry filters. I can’t help but think some of these authors would write differently today, knowing what we know now. I deal with customers all the time who won’t even think of trying some of these common butterflyfishes because of generalizations they’ve read or have been told. On the other hand, they won’t blink an eye to try a flame angel, Queen angel, achilles tang, clown tang, or one of an assortment of other commonly seen fish in Local stores. We have found through our experience, certain species of butterflys actually have a lower death rate than most Centropyge angels, batfishes, Holocanthus or Pomacanthus angels and even some tangs! If you were to take five Lunula or Auriga butterflys and put them in five different tanks, and take five Queen or Flame Angels and put them in five different tanks, I would bet that more butterflys would be alive after the first year. I’m not trying to say all butterflys do better than all tangs or angelfish. I’m merely trying to point out that specific species are actually hardier than many fishes in other families. A good experienced aquarist knows information should be collected on the nature of a specific species — not the families. ln other words, use species generalities as your guide – not the family generalities. As with all fishes, one should pick the right individual fish and ask the right questions. STATEMENT: Mantis shrimp and bristle worms are devastating and extremely destructive to reef aquariums. This is one of my favorites. I love it when a customer comes in and tells me they have a mantis shrimp. I’ll ask, “how do you know?” They respond with, “well, because all of my fish are disappearing and I can’t find them.” Some of the missing fish may be small or a bit larger, by as much as 6 inches, such as tangs. Even though the customer hasn’t seen a mantis shrimp, they are assuming through information, that the culprit must be a mantis shrimp. While it is true that mantis shrimp do eat small fish, ornamental shrimp and gastropods, a 1-2 inch mantis cannot take down a healthy 4-6 inch yellow tang. Mantis shrimp, as with most predatory crustaceans, are opportunistic feeders. They will catch and prey on the easiest thing available to it. A healthy fish is far from that in a reef tank full of live rock teaming with tiny copepods, isopods, and other plankton. We keep over 2,000 gallons of reef aquariums and live rock. I know for a fact that we have small mantis shrimp crawling about at night. We also have beautiful fish living in these reef tanks, some for many years. The point is a healthy fish will not be bothered by mantis shrimp. When a mantis grows larger, they tend to feed more during the day. This is when we actually see them, and might want to remove them. The same argument can be made for bristle worms. Customers tend to believe that because their clams are dying or mysteriously eaten away at night, they must have bristle worms. Well, this much is true, most reef tanks have bristle worms. 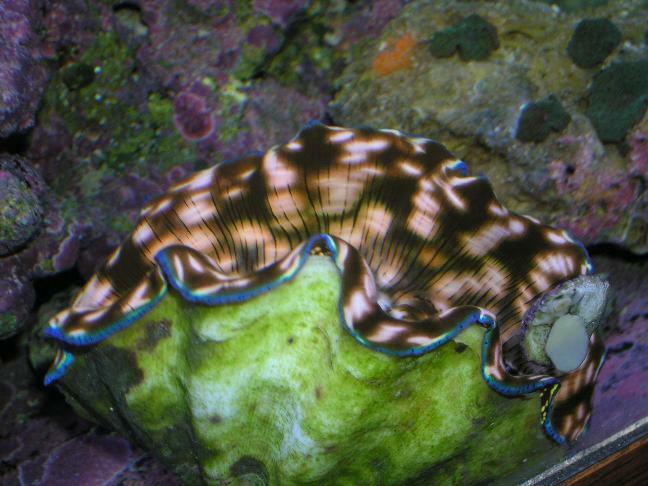 They can eat clams or other soft corals, but usually can’t get at healthy clams. Remember, clams do grow and thrive on ocean sand beds where bristle worms are plenty in numbers (probably a lot more than in your reef tank). Clams, as with most sessile animals, have very good natural defense mechanisms to protect themselves against predators. A healthy clam will more than likely be able to protect itself from a tiny bristle worms. It has also been documented numerous times most species of bristle worms are harmless and beneficial. They sift sand beds, consuming detritus and other unwanted wastes (Sprung, 1994 / Delbeek, 2002). I am not trying to say mantis shrimp and bristle worms are no problem for reef aquarists. I just think that they are tremendously blamed for problems and the death of animals. When in fact, the situation may stem from something else, such as health or individual husbandry practices. STATEMENT: Anemone fishes (clownfishes) are good reef fishes. The anemone fishes (Amphipiron and Premnas) also known as clownfishes, live unharmed among the stinging tentacles of anemones. Most hobbyists believe that they are ideal for the reef aquarium because of their symbiotic relationship with anthozoans. They are fairly hardy, feeding on all prepared foods, and never known to eat living corals. The problem is this symbiotic relationship! If sea anemones are not present in your reef tank, a specimen may try to endure other polyps as their home. Thus, this may irritate the living coral, and cause it to die. Remember it is an instinct of this animal to behave this way. This is an adaptive trait to protect these colorful fish from predation. The evolutionary advantage is that without anemones these fish would not exist in the wild. Clownfishes are classed as obligate symbionts, meaning they must have anemones to survive. With this in mind, it is easy to understand the consequences when a reef keeper doesn’t have anemones in their tank. Countless times we have had customers wanting to bring back clownfishes because they are causing corals to close. Once the existing coral dies, they tend to move to a new one. So why don’t we put sea anemones in our reef tanks? Sea anemones are mobile invertebrates. They are surrounded by few or many tentacles containing stinging cells (nematocysts). They are active in capturing food, and quite lethal to other fishes and surrounding corals. Sea anemones live attached to firm objects, generally live rock or substrate around the reef. Larger anemones will climb the aquarium walls and rock, posting itself in a position to feed and retrieve light. As the anemone moves about, there is an inherent risk that it may rub against stony or soft corals, possibly burning them in the process. For these reasons, a reef aquarist generally has a problem with introducing them to their system. 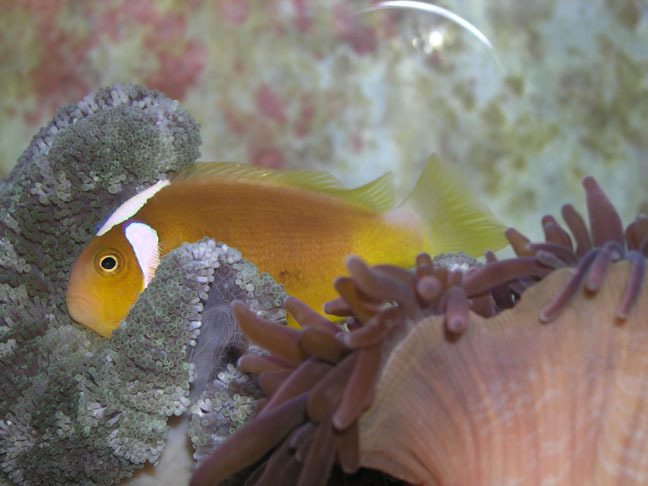 As we can see, the average reef aquarist does not or will not want anemones in their reef tanks, making anemone fish a risk to add as well. I hope that we have stirred up some controversy. Actually, I hope that we have made some valid points, thereby showing other views to those common thoughts and theories. If you think about, or research what you’ve read or been told, you most likely will benefit by making better decisions. – Patrick D.
Allen, Gerald R. and Daphne G. Fautin. 1992. Field Guide to Anemone fishes and Their Host Sea Anemones. Western Australian Museum. Pp. 160. Carison, Bruce. 2000. Coral Culture. AZA Communique. November 2000 Issue. Pg. 13. Delbeek, Charles. 2003. Bristle worms Can Be Beneficial In a Reef Tank. Aquarium Fish. March 2003. Pg. 6. Donston, D. Patrick. 1991. Thesis: Evolution and Adaptive Advantages in Amphipiron clarkii With Respect to Gonadal Tissue Degradation. The Ohio State University. Pg. 122. Michael, Scott W. 2002. Pygmy Angelfishes in the Marine Aquarium. Sea Scope. Vol. 19 Fall 2002. Michael, Scott W. 2001. Marine Fishes – A Pocket Expert Guide. T.F.H. Publications. Neptune, New Jersey. Pg. 445. Sprung, Jullian and Charles Delbeek. 1994. 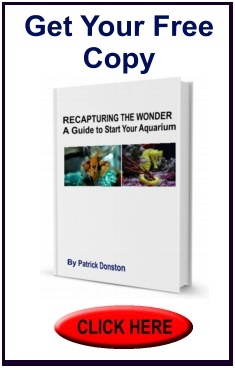 The Reef Aquarium Volume One. Ricordia Publishing. Coconut Grove, Florida. Thresher, R. E. 1984 Reproduction in Reef Fishes. T.F.H. Publications. Neptune, New Jersey. Pg. 235. Thresher, R. E. 1980. 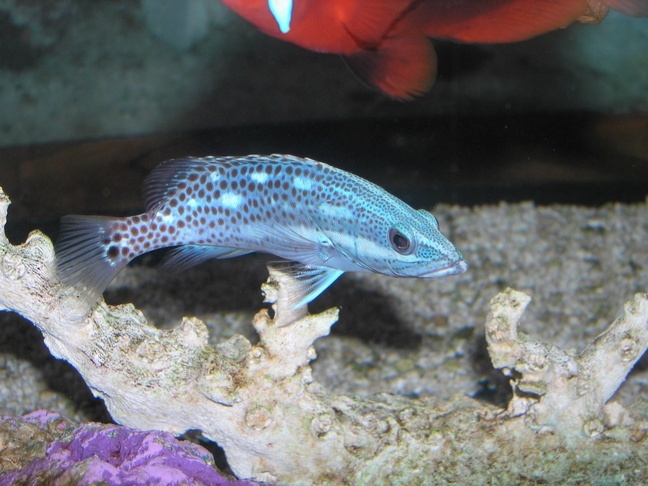 Reef Fish: Behavior and Ecology on the Reef and in the Aquarium. Palmetto Publishing. St. Petersburg, Florida. Wilkerson, Joyce. D. 2001. Clownfishes. T.F.H. Publications. Neptune, New Jersey. Pg. 239.